As a teenager you were a popular DJ at an underground techno leather dance club. Maybe because of your age, maybe for other reasons, you protected your identity by always wearing a quasi-military outfit, including jackboots, helmet with a pointy top, and oversize aviator sunglasses. Your following grew, your DJ skills improved… you had power. Fans speculated about your identity – rumors had you as the illegitimate son variously of Tito Puente, Zsa Zsa Gabor, Desi Arnaz, Marlene Dietrich. You were known only as El Kaiser. One day at school you received a note warning you not to go to the club that night. Alarmed that somebody knew your identity, you stayed home. The club was raided and shut down, the property sold cheap to a sleazy developer, who gentrified the hell out of it. Now it is live-work lofts upstairs, hipster shops on the ground level. Some of the old fans are still supremely bitter, even blaming you for the raid – after all, where was El Kaiser? Others mythologize El Kaiser’s mad DJ skillz. You moved on, grew up, got a family. But you didn’t completely heal. After everything you’ve been through, how could you not be paranoid about privacy? How could you behave any other way than to tell truth to power and rant against the corporate man? There can be no doubt why you love to hate (and secretly hate that you love) the suburbs, the sprawling cousin of gentrification. Although you insist on keeping your old life a secret, you are driven to use your power to right wrongs and explain tech terms. Turntables were yesterday; podcasts and social media are your super-tools now. Although you are once again known as “El Kaiser” nobody has yet connected you to the teen DJ of the same nickname – after all, that guy had a hat and glasses, which are uncrackable disguises. Our next winner continued the music theme but managed to work in the Little Panzer and an origin story for J.D. Pedro Rafael Rosado received the title “El Kaiser” due to his audio production work with the British indie band the Kaiser Chiefs. He also served as the replacement drummer in some recordings after Nick Hodgeson left. While his drumming skills were excellent there are occasional fallings out with the band over “technical differences” and his electronic tablet addiction, his son, using the stage name “Rhett Rosado”, turned out to have more in common with the rockers and plays drums on some recordings, earning the nickname “Bam-Bam”. Rhett will replace Pedro for the current world tour during his kindergarten summer break. Countess JD Biersdorfer, sometimes mistakenly known as “The Accountess” by those who misunderstand that “Book Keeping” and “Keeping Books” are not the same thing, is the other driving force behind Pop Tech Jam. Countess Biersdorfer’s family hails from the Transylvania, and actually inherited the title form the late Count Dracul, also known as Dracula. The Biesdorfer (translation “coffin maker for the village”) family turns out to have been the main beneficiary following the last Dracul’s untimely death in England in 1897. While the Countess does not operate in the family business, she can knock together a set of shelves easily to accommodate her expanding book collection. About the recordings – Turns out that storing book volumes spine side in makes a good acoustic baffle. The Pop Tech Jam recordings have been know to take place in the Biersdorfer private reading room. Hey, What’s a Little RetConning Among Friends? 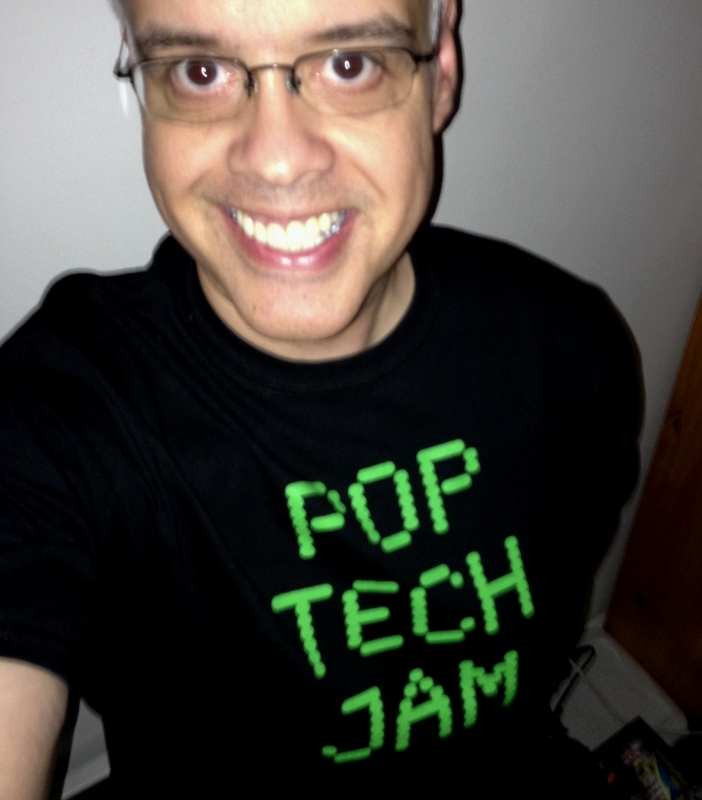 If you’ve listened to this week’s fun-filled episode you already know that we’re giving Jammers out there the opportunity to rewrite a bit of Pop Tech Jam history. The plan is to let you, the audience, invent a new origin story for El Kaiser. The Kaiser moniker was bestowed upon me by J.D. on a little old show we used to do for an internationally recognized news organization that shall remain nameless… *cough* The New York Times *cough* … and since Pop Tech Jam has no affiliation with that unnamed media behemoth I decided to play it safe and apply a bit of good old fashioned retroactive continuity. The not-all-that-reliable-but-a-heckuva-lot-of-fun Urban Dictionary defines Retcon (all the cool kids call it that) as “adding or altering information regarding the back story of a fictional character or world, regardless of whether the change contradicts what was said before”. Send your version of El Kaiser’s origin via email to prr@poptechjam.com or jdb@poptechjam.com, via Twitter, Facebook and Google+ or as a comment to this post. The prize will be a shoutout on the show, one of the very first PTJ branded t-shirts or mugs we expect to have in our grubby little hands soon, and our sincerest gratitude! Again, we wish you all a happy 4th of July weekend for those of you in ‘Murica and a happy weekend for those of you on the rest of this wonderful blue ball! 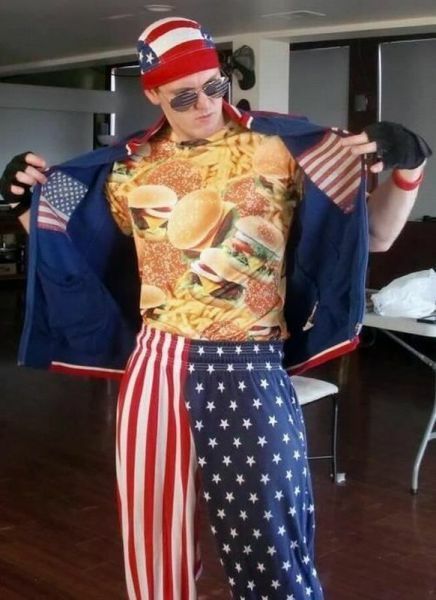 Now if you’l excuse me I have to prepare my outfit for this evening’s fireworks. Whaddaya think?